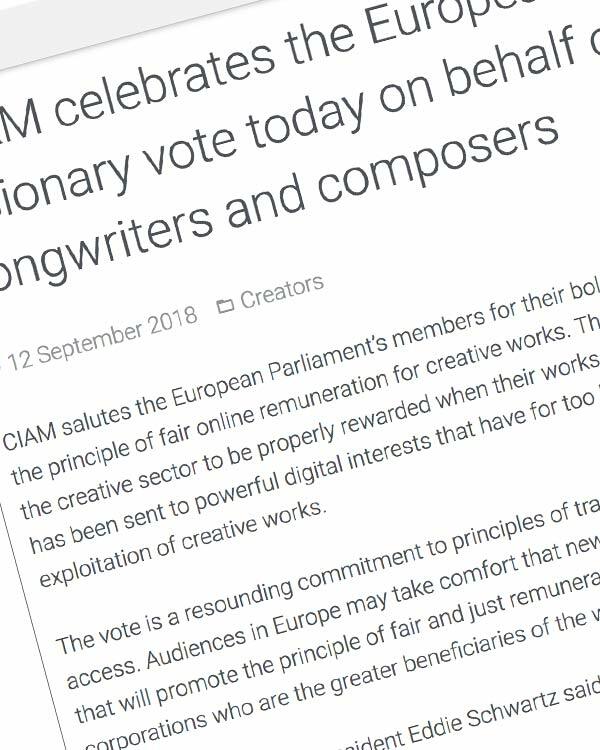 CIAM salutes the European Parliament’s members for their bold vote today (438 to 226) endorsing the principle of fair online remuneration for creative works. 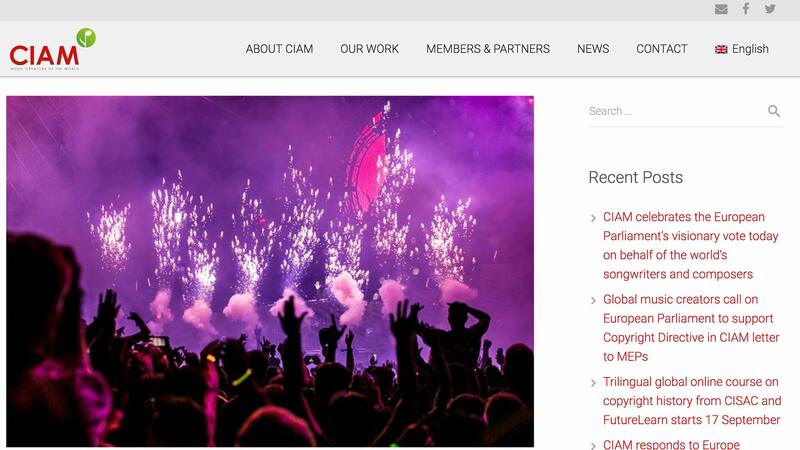 The Parliament has paved the way for the creative sector to be properly rewarded when their works are exploited online. 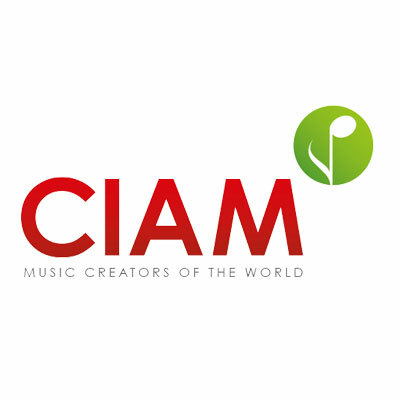 A clear signal has been sent to powerful digital interests that have for too long unfairly capitalised upon the exploitation of creative works.